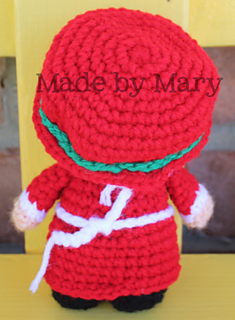 This little Mrs. Claus is a perfect companion for that special Christmas lover in your life! He’s a super cute decoration or a delightful toy for a child. Perfect teacher gift!! 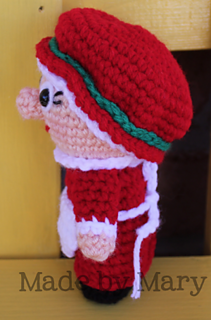 He is 5” tall and just perfect to hold in your hand! 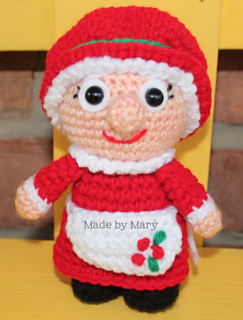 ** This pattern is Copyrighted, created and designed by Mary Smith and MadebyMary. This pattern may not be distributed in any form. You are welcome to sell the finished items that you make using the pattern, the only thing I ask is that you put a link to my store mentioning the pattern and use your own photos. Thanks.